This is Page 3 of 3 - the best of March 2007! The photos on this page continue with March 21st - a National Holiday - and go through the end of the month. Click on any thumbnail to begin. 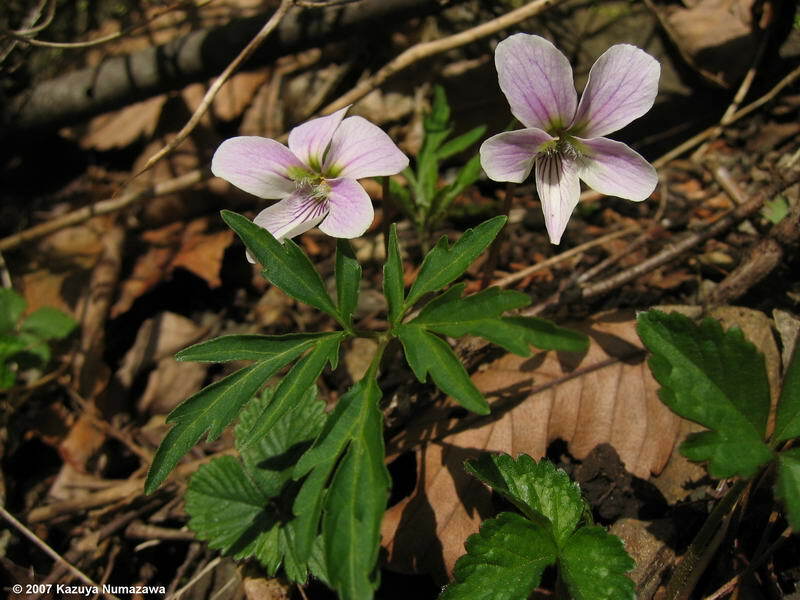 On March 21st we had a National Holiday - the Vernal Equinox - and we went to ICU, the university near our house and walked around the woods-like campus. 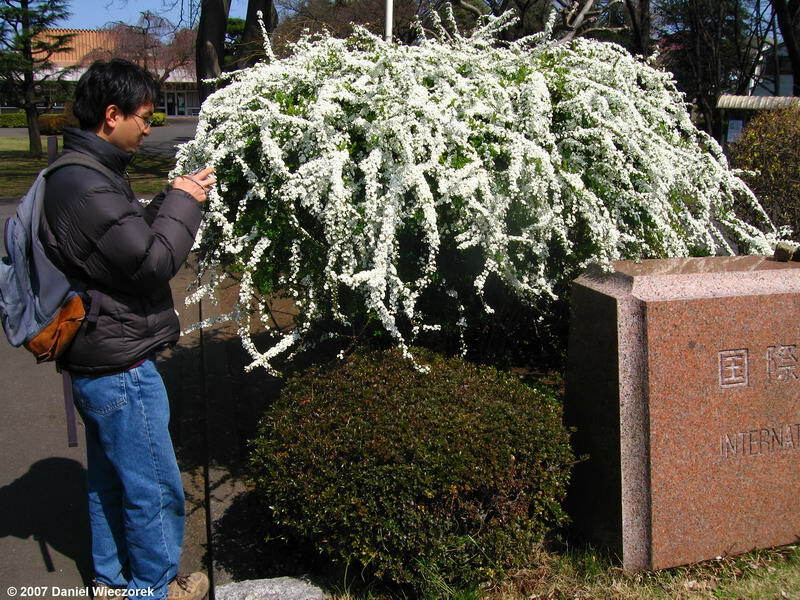 The first thing we stumbled across was a Spiraea thunbergii bush. 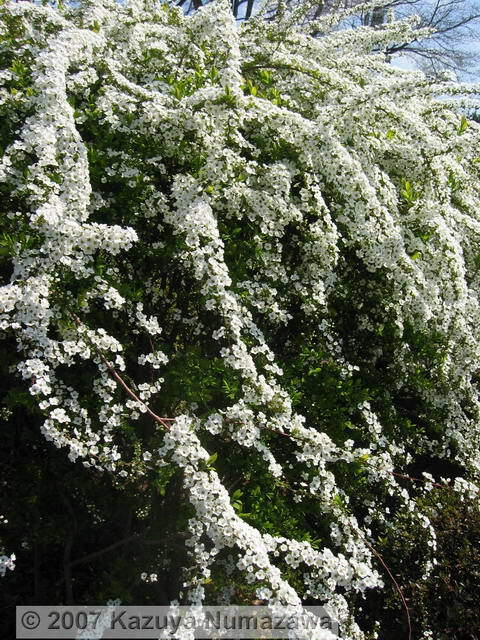 How amazingly filled with blooms it is, eh! 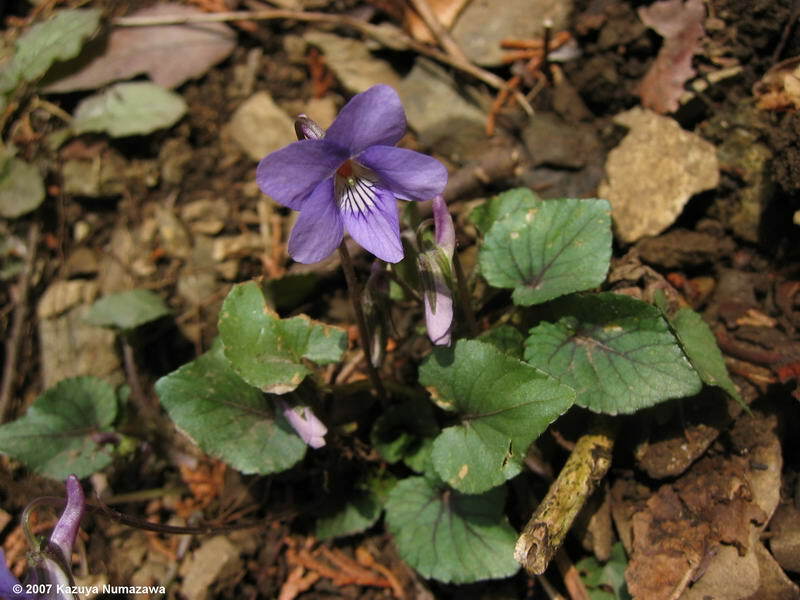 We also found some violets - all Viola grypoceras. 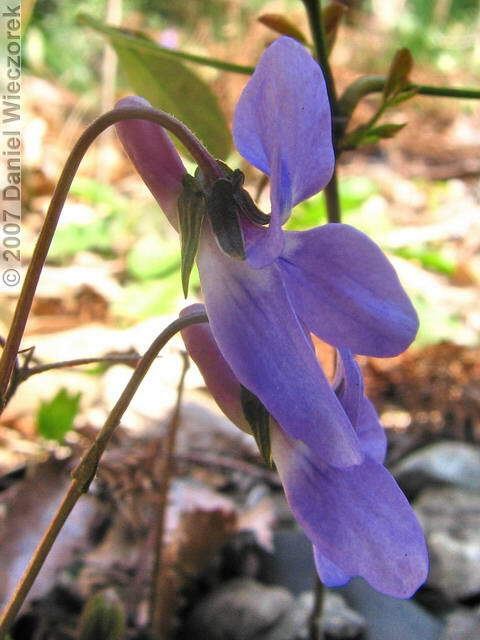 In the first photo here you can see a great shot of the flower. In the 2nd shot you can see a shot showing the flower spur. 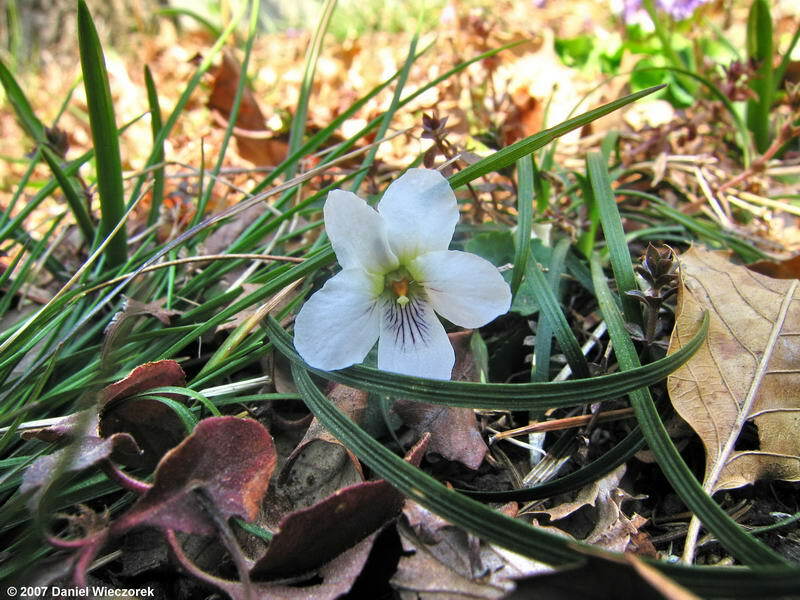 The 3rd shot shows a white variety or form of Viola grypoceras. Unfortunately neither Kazuya nor I took a picture of the flower spur. 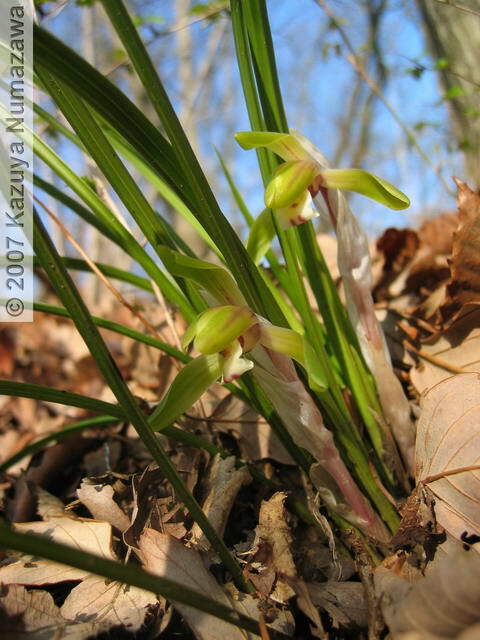 There are 2 different white varieties/forms and the only real way to be able to differentiate between them is a close examination of the flower spur! 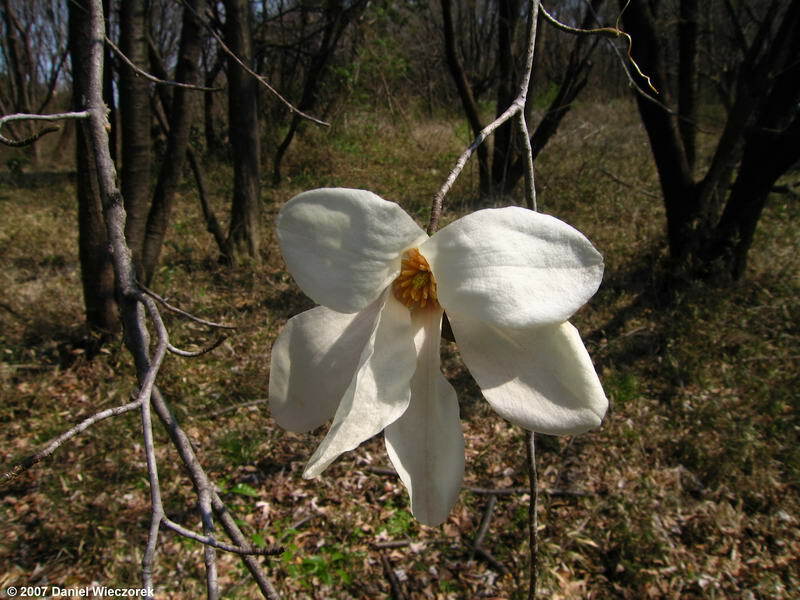 We also noticed that the Magnolia trees (Magnolia kobus) are in full bloom. The first photo is a single flower and the 2nd shot is an entire tree top. 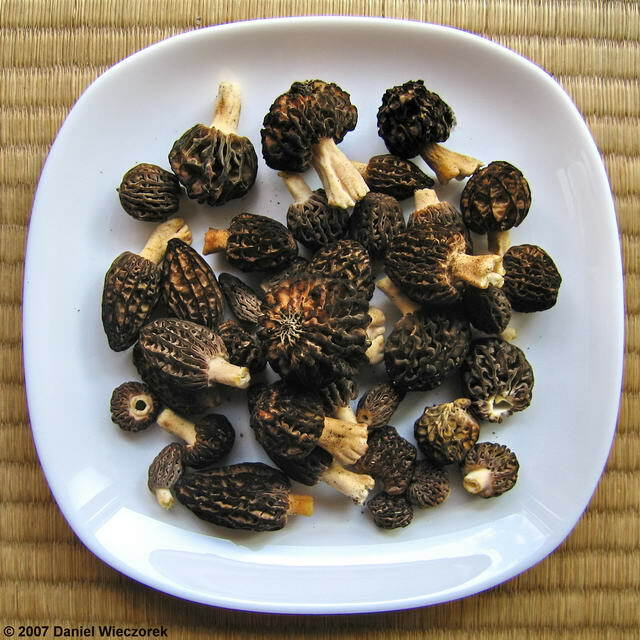 The 3rd shot is a nice plate of Morel Mushrooms which we found. 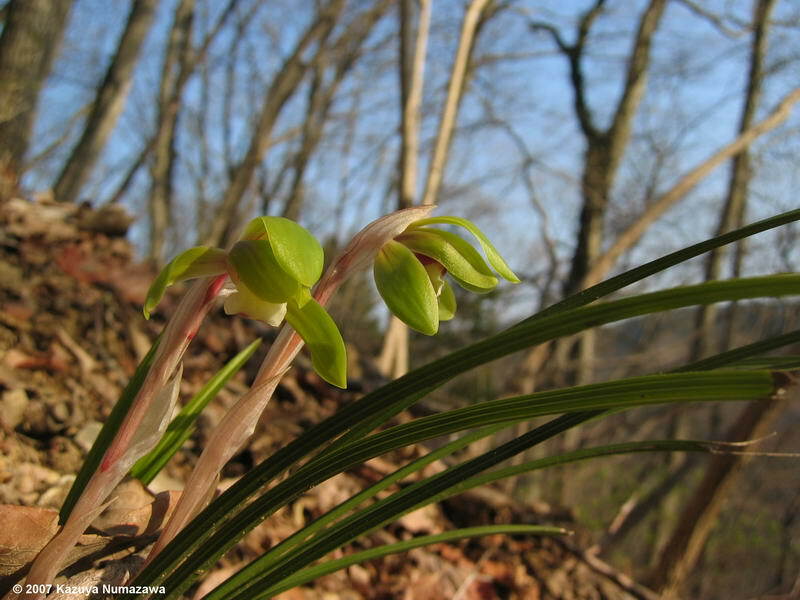 It's quite early to find them and in addition it's been very dry, so we were pleasantly surprised to find any at all. Kazuya bought us steaks for supper and I fried the mushrooms in butter with a bit of salt and pepper and we ate them with the steaks - talk about a meal fit for a king! 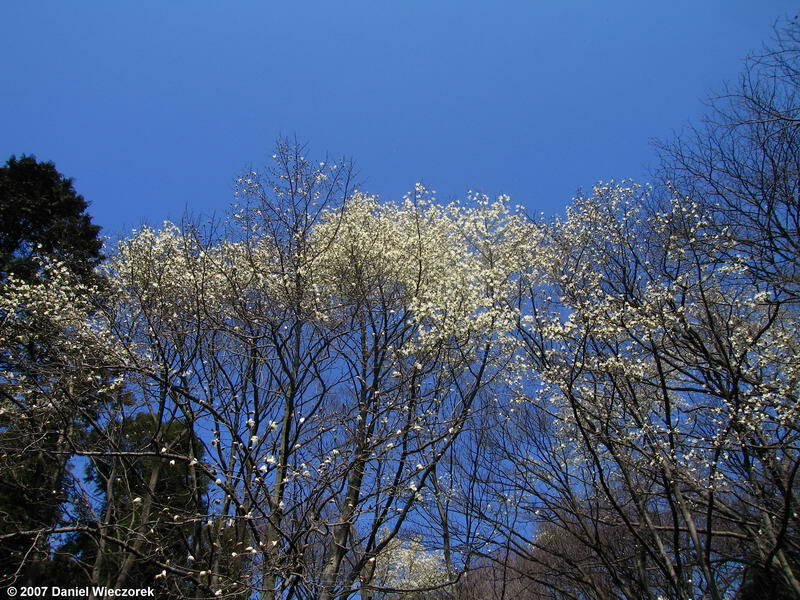 On March 26 (my weekend day that week) we went to Ogesawa (Oge Creek). 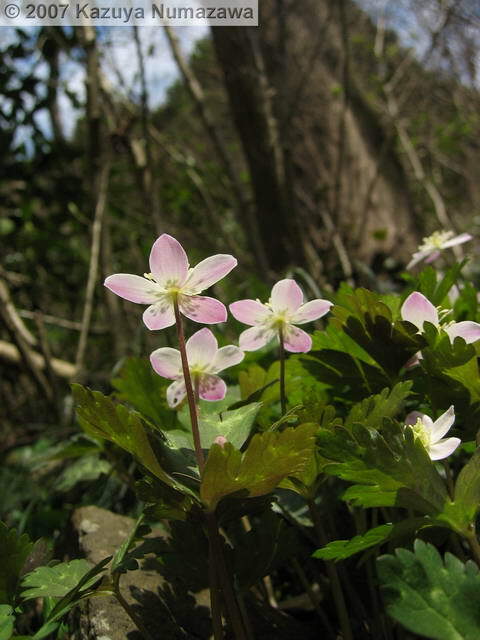 It was a fantastic day and we found lots of spring flowers. 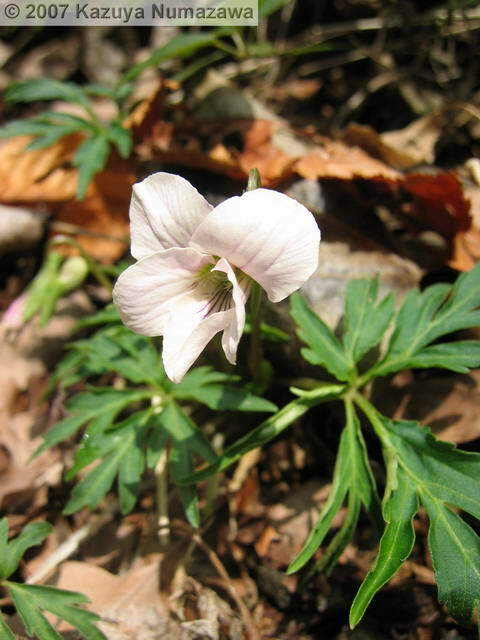 This month has seen lots of changes in the flora - think back to the first page and then look here. 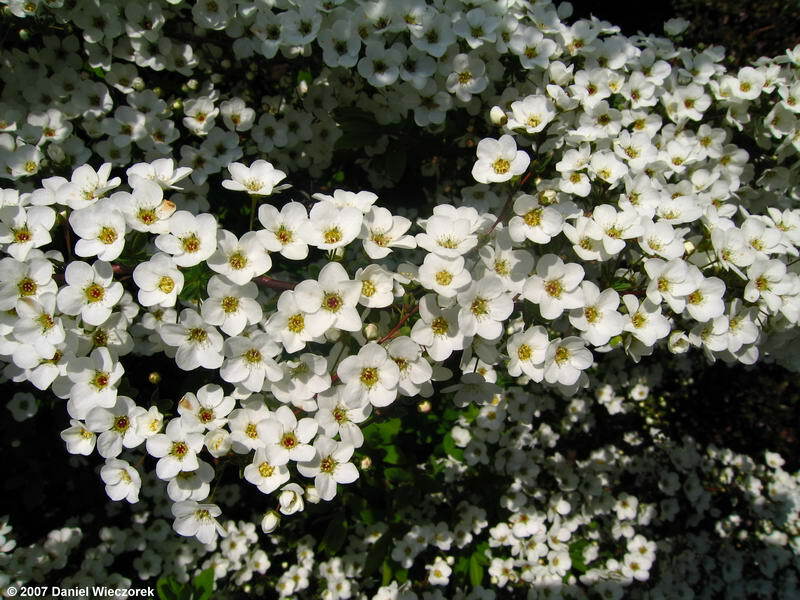 An AMAZING month for flowers. 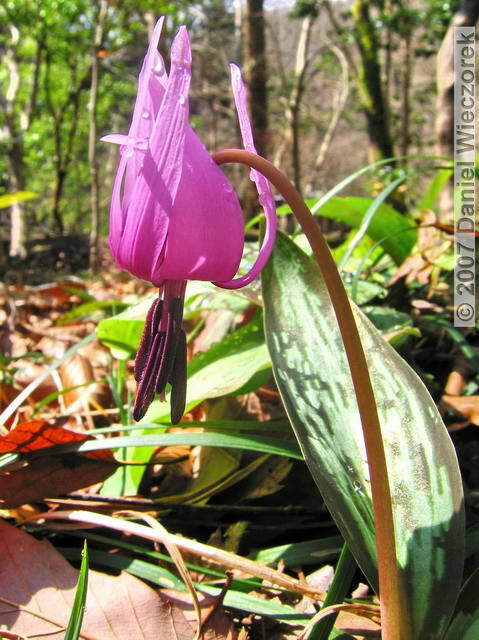 The first shot in this row is a Trout Lily (Erythronium japonicum) - an amazing shot. 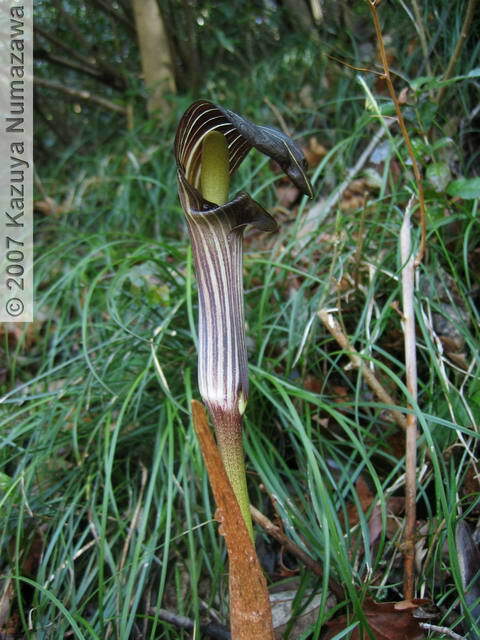 The 2nd shot is a Viola grypoceras and the 3rd shot is a Jack-in-the-Pulpit (Arisaema limbatum). After about 1 hour both of my camera batteries died - so the remainder of the photos here were taken by Kazuya. He got some really great shots! 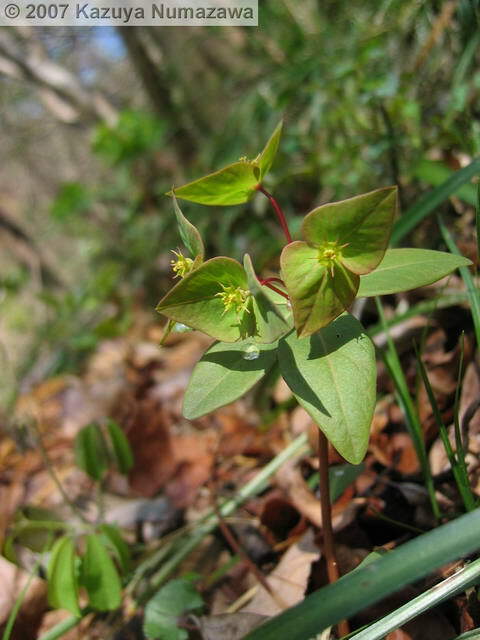 The first photo here is a (Euphorbia sieboldiana). 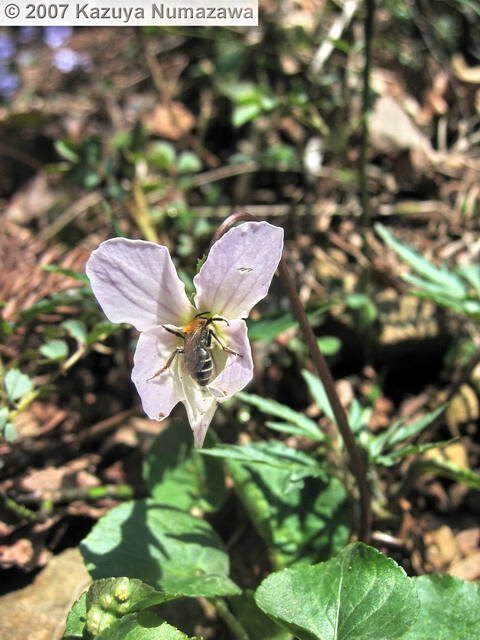 The 2nd and 3rd shots are Viola eizanensis - notice the bee inside the middle photo. 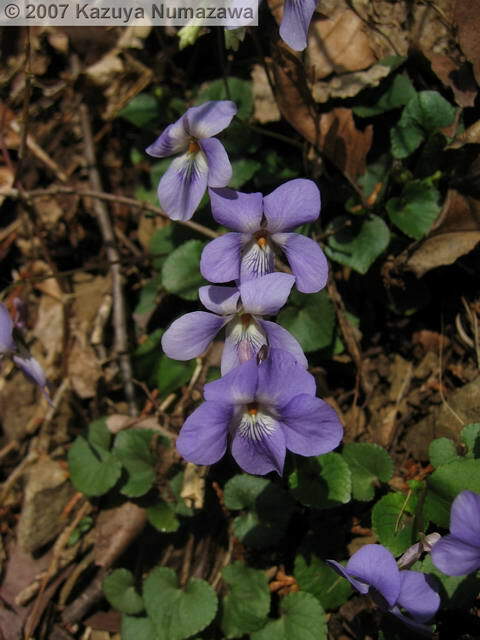 The first photo in this row is a Takao Violet (Viola yezoensis f. discolor). 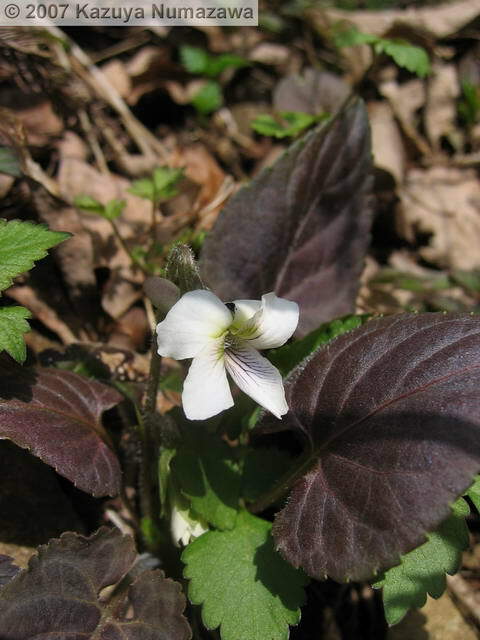 There is one photo of this species on Page 2 (final photo), but this one here really shows the purplish-brown leaves. 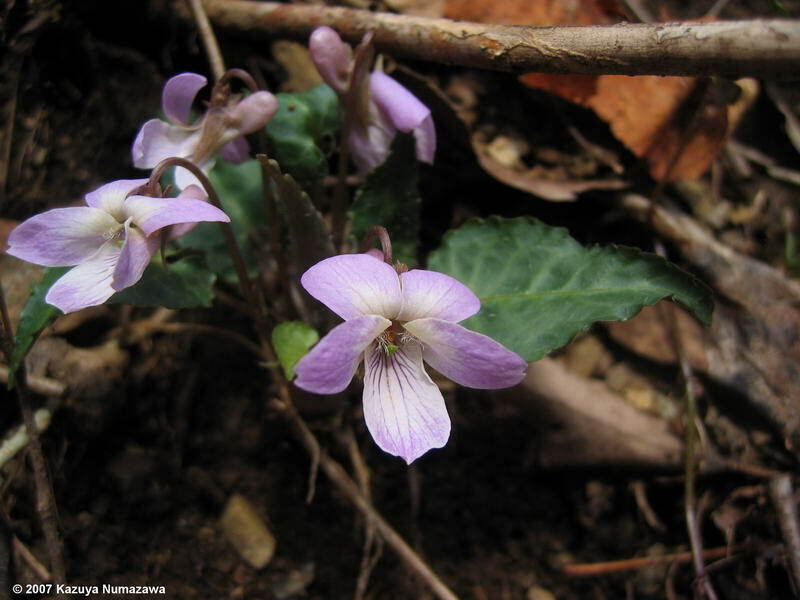 The 2nd photo is a Viola bissetii - also with an insect inside of it. 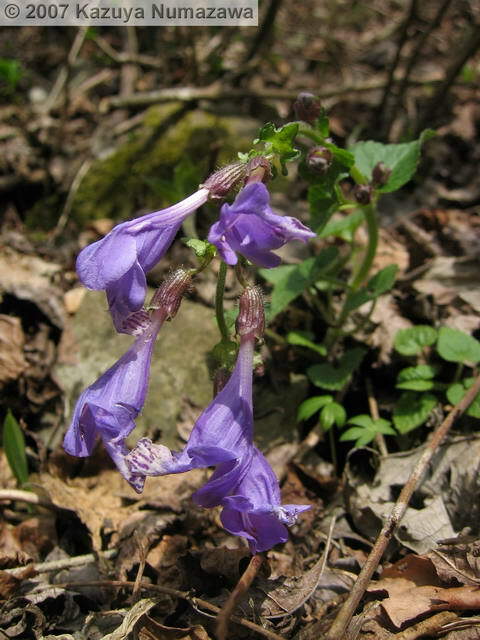 The 3rd photo is a Meehania urticifolia. The first shot here is a new angle on an Anemone flaccida - a photo taken from the back side - intriguing. 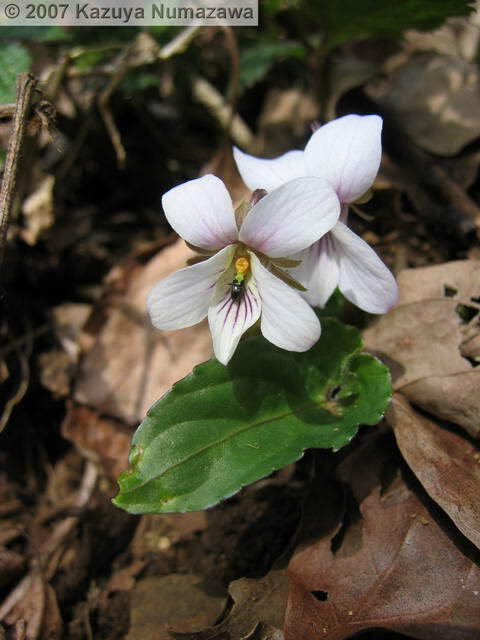 The 2nd photo is one more Viola eizanensis. 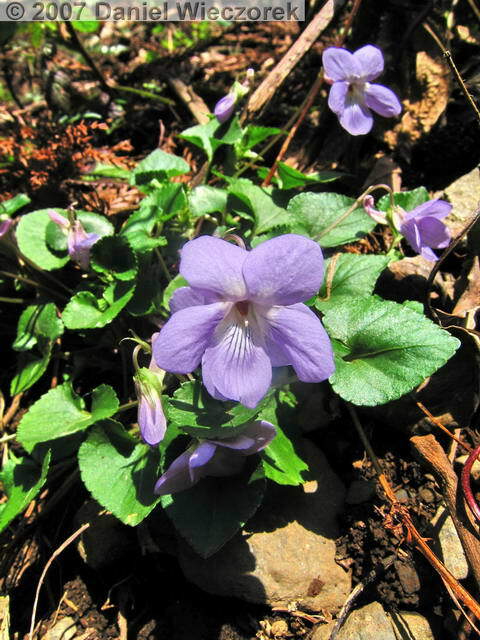 This violet comes in many colors and forms. 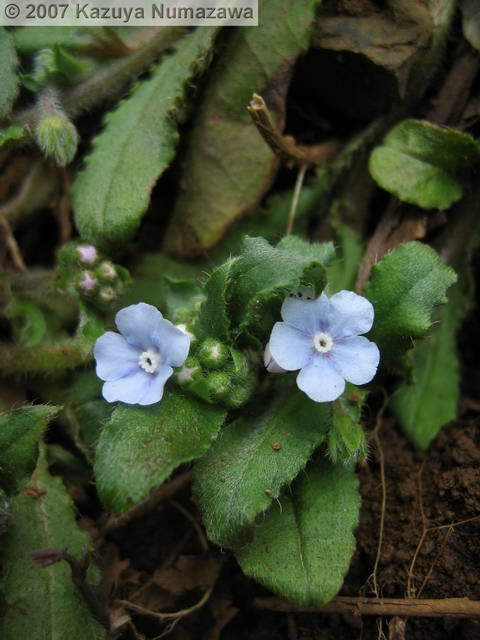 The 3rd shot is another Omphalodes japonica (2 more shots on Page 2). 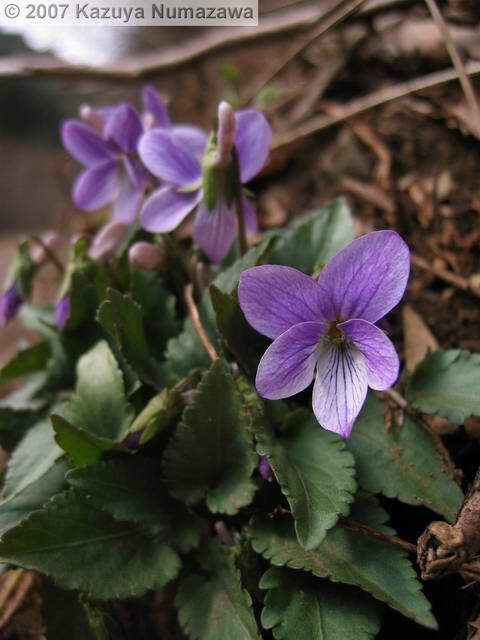 The first photo here is a Viola tokubuchiana var. takedana. 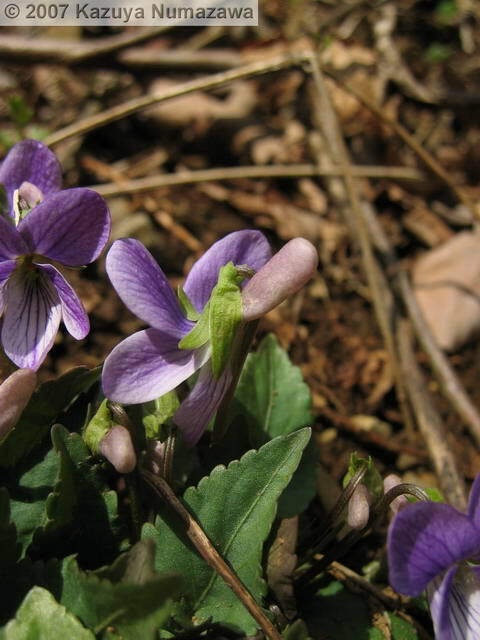 The 2nd shot is a Viola grypoceras and the 3rd shot is a Viola grypoceras f. variegata. Notice the difference between the leaves in the 2nd and 3rd shots (red veins in the 3rd shot, plus a slightly different shape). 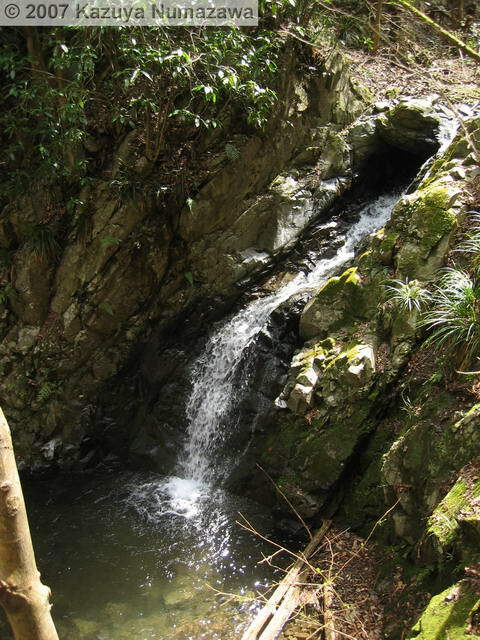 The first 2 photos here are Ogesawa - the creek itself - showing 2 different small waterfalls. 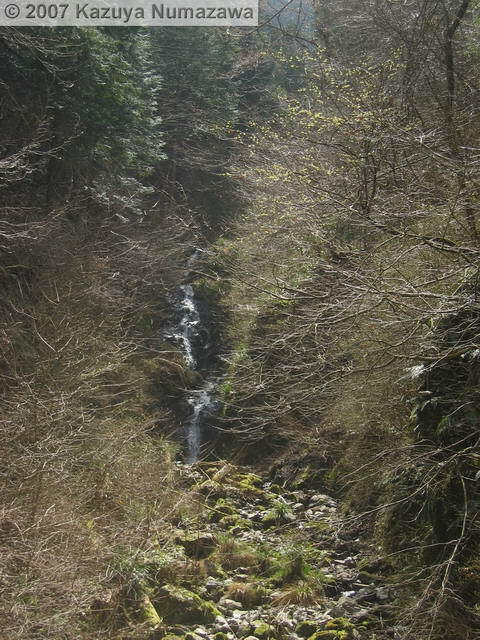 In the first shot you can notice that tree leaves are not yet coming out. 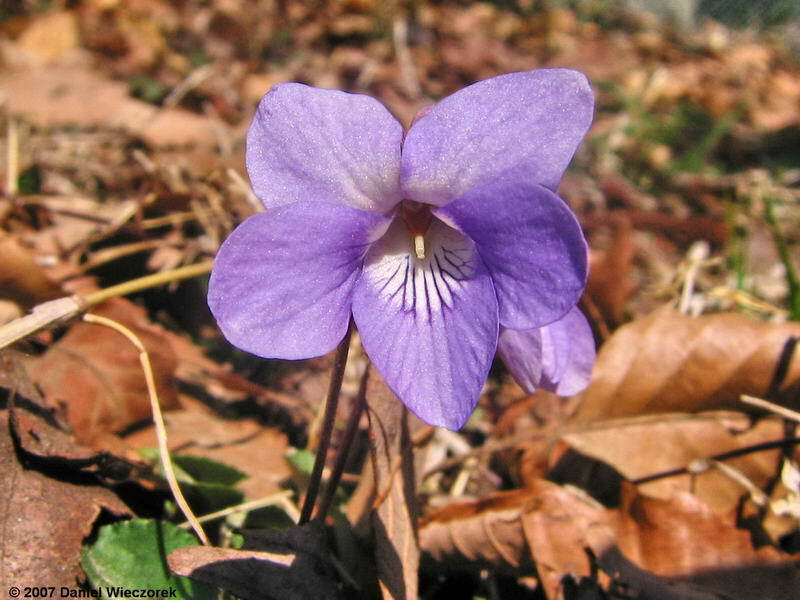 The 3rd shot is Viola japonica - a new violet for us, or at least which we have never identified as such before. 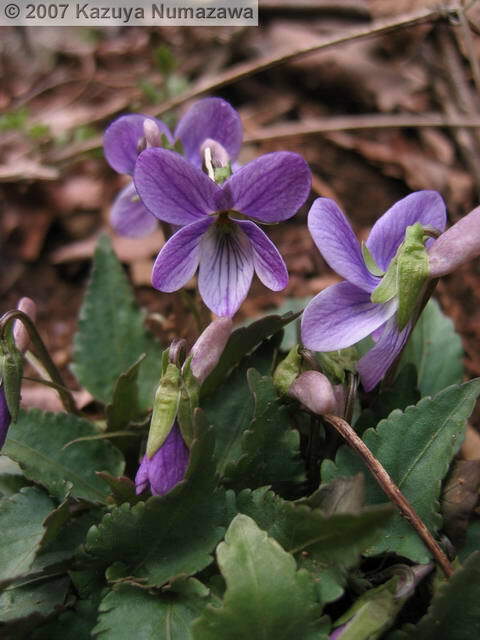 The first 2 photos in this row are also Viola japonica. 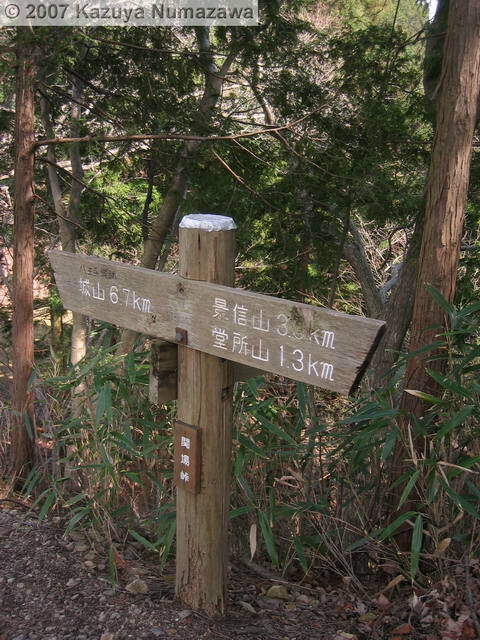 The 3rd shot was taken at Sekiba Touge (Sekiba Pass) - one place we passed on our route this day. 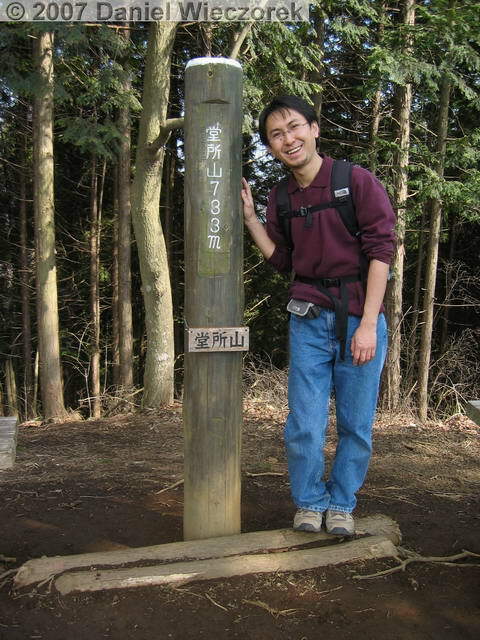 Here is Kazuya at the summit of Mt. Doudokoro (733 meters = 2,398 feet). From here we continued to Mt. Kagenobu (727 meters = 2,385 feet) and then headed down to the nearest bus stop. 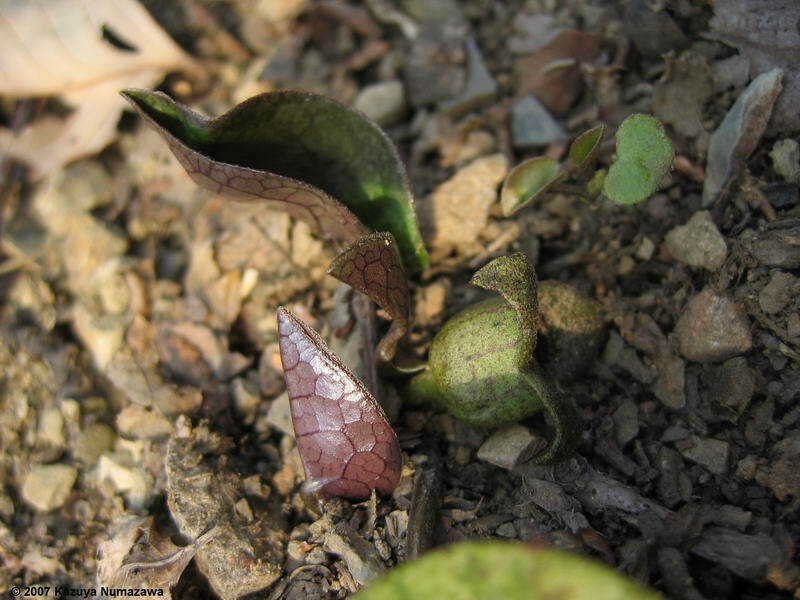 On the way down the Kagenobu trail we found a new species of Asarum, which we were not able to positively identify. 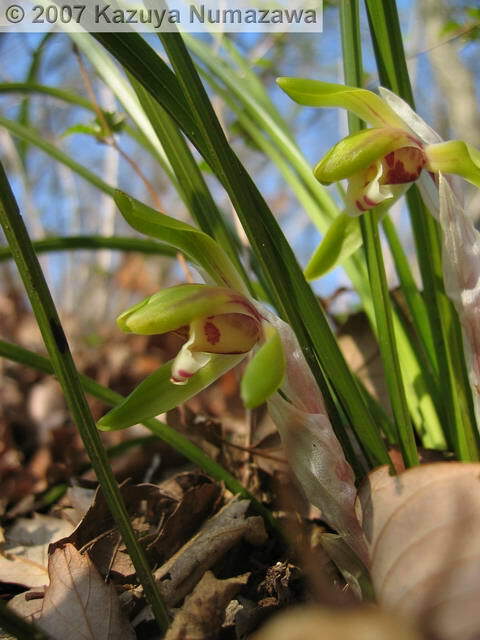 And then we found an area with MANY Cymbidium goeringii orchids in full flower. We never realized that they were in such abundance at this place! Surprise! 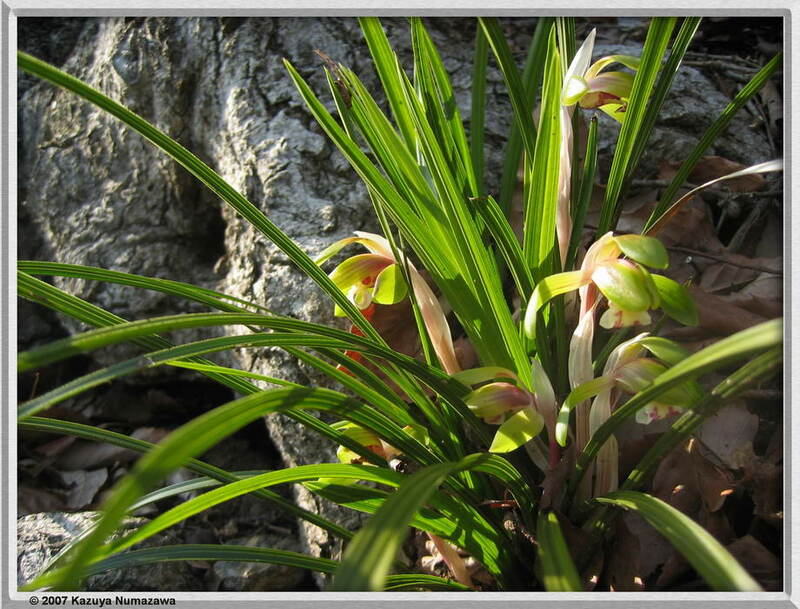 Here are 3 exceptional shots of Cymbidium goeringii orchids - all taken by Kazuya. This is a link to a separate web page showing a Relatively NEW photo of our DVD Collection, an AVI Movie of our Home Theater System and 9 photos of our new Sharp Aquos TV. You can see the new DVD Shelf here too.